Often incorrectly referred to as the "Ferrari Dino", the 206 was actually badged as a stand-alone make "Dino", a kind of junior Ferrari. 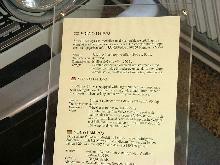 Launched in 1967, the Dino heralded a new family of smaller, lighter cars produced by the Maranello concern. Power for the new car came from a mid-mounted, 1987cc V6, driving via a 5 speed transaxle held in place with independent, coil suspension. 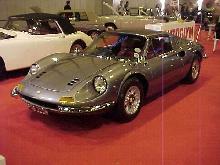 Early Dino coachwork consisted of an Aluminum, 2 seater fixed coupe style, only available as lhd to start with. 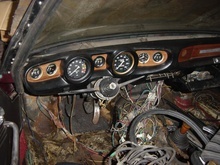 Eventually the Dino 206 was replaced by a more powerful 246 version in 1969.